This drink is adapted from Marc Forgione, one of my favorite Tribeca restaurants. Several small chunks of rhubarb, uncooked, for garnish. Combine rhubarb, sugar and 2 cups water in a medium saucepan. Stirring occasionally, bring to a boil and cook until rhubarb is broken down, about 20 minutes. Remove from heat and add mint. After several minutes strain the mixture, which should be the consistency of a syrup. Cover and refrigerate until cool. 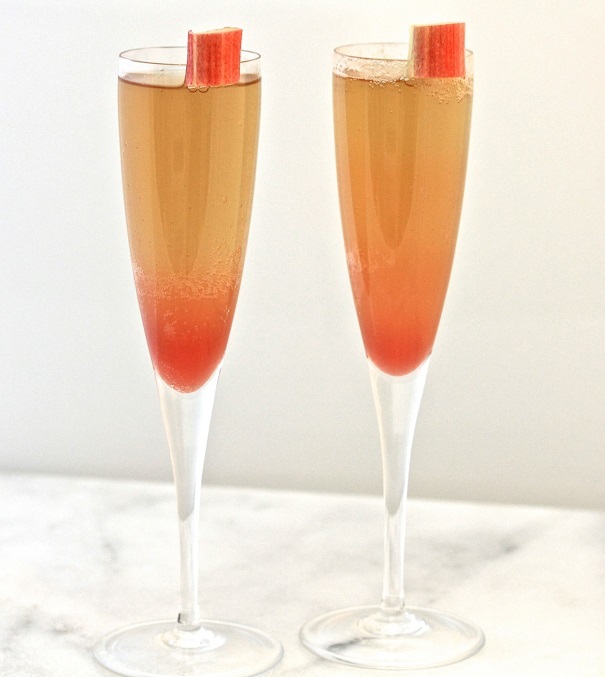 Pour one tablespoon of rhubarb syrup into a fluted glass and top with prosecco. Garnish with raw rhubarb. Serve immediately.